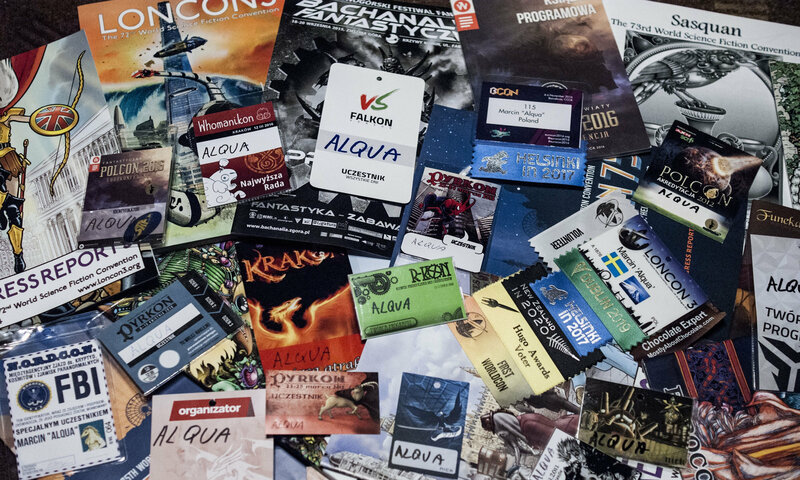 In 2017, the first Polish conrunning convention took place. It happened that this year I chaired the third KONgres. I had the opportunity to publish the reports from both first and second KONgreses. The third one, however, is a different story. I cannot look the same way at the convention I chaired. I decided to provide some remarks about it here, but please remember that I am not able to impartially assess how good or bad the con was. I have been reading some Australian fanzines recently. I checked mainly Wild Goose by Roman Orszanski and iOTA by Leigh Edmonds. The 15th issue of the latter somehow reminded me of the fanzines I used to contribute to. Well, it is a good inspiration, I believe, especially since fanzines appeared as topic worth discussing during my GUFF trip. I read a review of the Alita film today. And it reminded me that I had a nice fan art I obtained many years ago so I tried to look for it. And in the binder where the fan art was I had a bunch of letters in as well. They date back to the time when I joined a pen friend club. It was not a fandom-related activity itself yet at this time it was an important thing for my geeky self. This year marks the tenth anniversary of the ZjAva convention. I did not participate in all of the previous editions, but this one was not my first either. It is a con that concentrates on gaming (and, in my opinion, mainly on RPGs). With over 130 RPG sessions over the weekend it is currently, I believe, the biggest RPG event in Poland. I was thinking about creating a small Fan Fund to allow people from different countries to attend Eurocon. My dream is to have fandom more internationally connected (well, this is one of the reasons I started blogging). I think that allowing people to travel to other countries is a good step forward. The GUFF race is ongoing and it would be good to have as many votes as possible. In case you think you should not be voting as you don’t know the candidates you may want to check their platforms in the ballot or you may want to read short interviews below (candidates are presented in alphabetical order). Remember – every vote counts!